Medieval people (just like us) liked to accessorise - and the bling for the masses was made of pewter. This pewter buckle is based on examples from medieval and renaissance Europe, dating from the 12th to the 16th century. It's handmade in the traditional way - individually cast in a hand-carved soapstone mould. 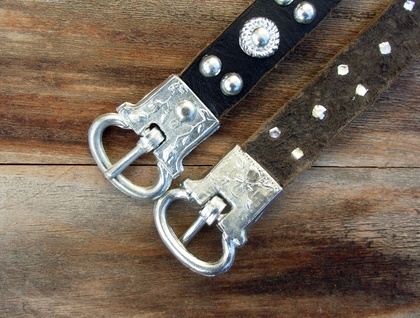 This listing is for ONE pewter buckle and ONE rivet, also handcast from pewter. 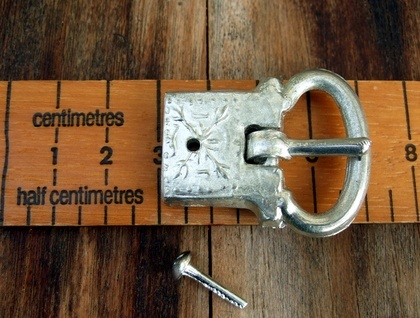 The buckle's overall outside measurements are 40mm x 32mm and it will fit a strap 16mm wide (or up to 22mm wide - the outside width of the plate - if you notch it in at the point where it inserts into the plate). The plate section of the buckle is decorated with a framed heraldic estoille on one side and two long-stemmed rose buds on the other. The plate is hollow - the strap gets inserted into it and is secured with a rivet (supplied, with instructions for securing it). This size of buckle would suit a medium belt, or bag or satchel fastenings. 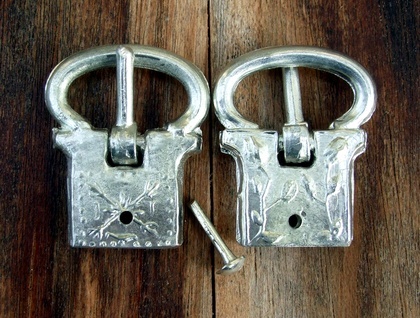 These buckles are made from lead-free pewter (lead poisoning might be historically accurate but really, do we actually want to go that far?) and, like all pewter, will develop a matt patina with time. 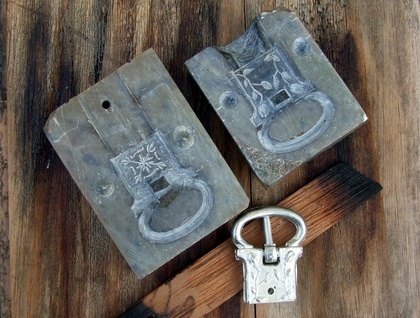 As these buckles are hand-cast in stone moulds, small variations in their finish are part of their nature. I'm happy to create custom listings for larger numbers - just use the contact link to message me. International buyers, please contact me via Felt to arrange shipping. I hope you enjoy wearing these little bits of history as much as I enjoy making them. Contact handcastpewter to enquire about payment or shipping options.